There are conflicting versions from the U.S. and South Korea about a call between the two countries' leaders and whether they agreed on beginning to talk with North Korea, given its series of provocations over the past few months. 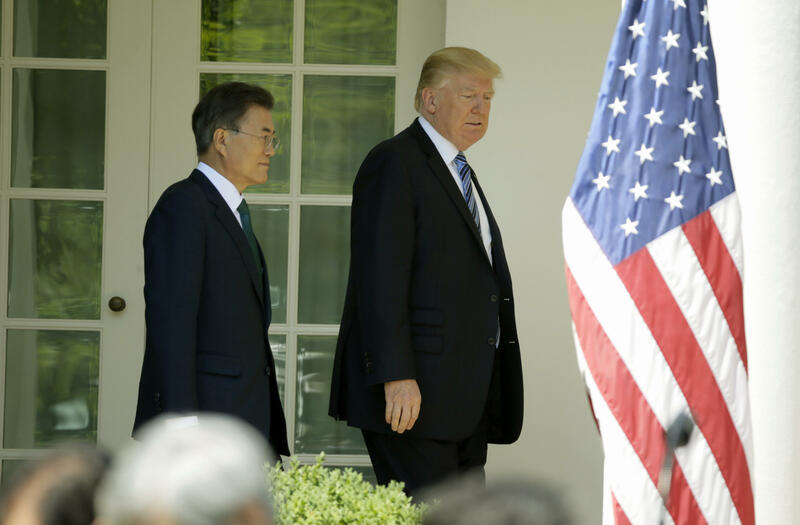 South Korean news agency Yonhap, citing the country's presidential office, reported that President Trump and South Korean President Moon Jae-in had spoken by phone Friday and "reaffirmed the need to bring the communist state back to the dialogue table." But a National Security Council official disagreed with this characterization of the call, CBS News' Katiana Krawchenko reports. According to the official, President Trump stressed to Moon that now is not the time to talk to the North, and all countries must remain firm in opposing North Korean provocations. A White House readout of the call, released later on Friday evening, did not specify whether the two reaffirmed a need to bring North Korea back to the negotiating table. The readouts said the president and Moon, "pledged to continue to apply strong diplomatic and economic pressure on North Korea and to make all necessary preparations to deter and defend against the growing threat posted by North Korea." "The two leaders agreed to strengthen our alliance through defense cooperation and to strengthen South Korea's defense capabilities," the White House readout continues. The U.S. maintains talks at some future point might be possible, but only if North Korean behavior substantially improves. Yonhap also reported that the two countries agreed to expand South Korea's missile capabilities to help deter the North's increased aggression. Currently, South Korea is allowed to have missiles with a range of 800 kilometers, or around 500 miles. It would like to extend that range to 1,000 kilometers, or a little over 600 miles. Mr. Trump and Moon spoke three days after Pyongyang fired an intermediate-range ballistic missile over Japan. The U.S. and South Korea are also wrapping up their annual joint exercises, which North Korea views as a threat. CBS News' Katiana Krawchenko contributed to this report.